Chardonnay is the number one selling white wine varietal in the world. It continues to climb the production ladders, surviving a backlash against its popularity and emerging in newer unoaked and less buttery styles. Learn what makes this wine so popular and beloved in the U.S. and internationally. The chardonnay grape itself contributes to the wine's popularity. Made from green-skinned grapes, Chardonnay is a relatively “low-maintenance” vine that adapts well to a variety of climates, resulting in fairly high yields worldwide. These high yields translate into millions of bottles of ​Chardonnay wines. As a result, you can buy a good bottle of chardonnay for under $15. But you can also buy an elegant bottle for ten times more. The Burgundy region of France is chardonnay's motherland, but you won't find it labeled that way in France. Instead, you will see it as white Burgundy (Bourgogne blanc) and Chablis. The grape is also one of the three grapes used in producing champagne and other sparkling wines around the world. 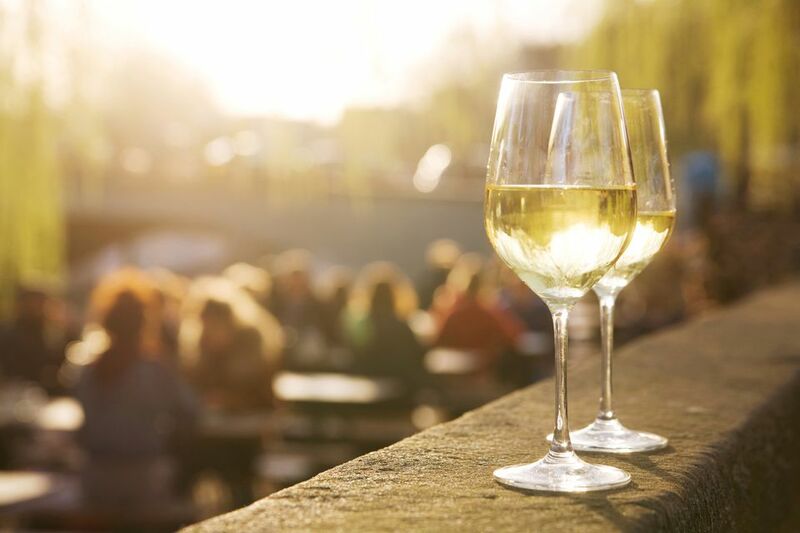 Chardonnay brings an impressive range of flavors from the expected buttered, oak influences to the fresh, fruit flavors of apple, pear, tropical, citrus, and melon, leaving a lasting palate impression. Chardonnay has taken some heat, especially in New World growing regions, for being overly manipulated by oak. As a result, the pendulum is swinging and many places like California and Chile are backing off the oak and presenting bottles of chardonnay that carry "unoaked" or "naked" tags on their label lines. Chardonnay will pair well with poultry dishes, pork, seafood or recipes that have a heavy cream or butter base. Also consider pairing the fresh fruit flavor profile of an unoaked chardonnay with guacamole, garlic, salads, grilled shrimp or even curry dishes. With a long and distinguished following, chardonnay enjoys a very versatile image, with vintners offering a broad range of styles and structures. From rich, buttery chardonnays that boast power and presence to the unoaked fruit-forward chardonnay wines that allow the varietal character and expression to be in the spotlight, this white wine is capable of accommodating most palates and just as many food pairing combinations. If you prefer a big buttery chardonnay then look for ones that have been through malolactic fermentation, as they will yield the compound diacetyl, which makes up the dominant scent of fake butter used in microwave popcorn and imitation butter flavorings found in so many baked goods. Chardonnay is an international grape variety that grows well in a number of regions. Keep an eye out for chardonnay from California, Chile, Australia, Burgundy, and South Africa to get a glimpse of the range of styles and flavors across a wide array of price points.